About a week ago, Viner Oh Ya posted this ridiculously adorable Vine of an owl called Nishiame wearing a hat. LOOK AT THE HAT-WEARING OWL. Judging from their Vines over the past year, Oh Ya appears to have quite a collection of owls who spend their days doing bizarre and cute things. This is Kokinme looking startled after his fluffy hat cave is removed. Kokinme even did a impressive Santa impersonation on Christmas Day. 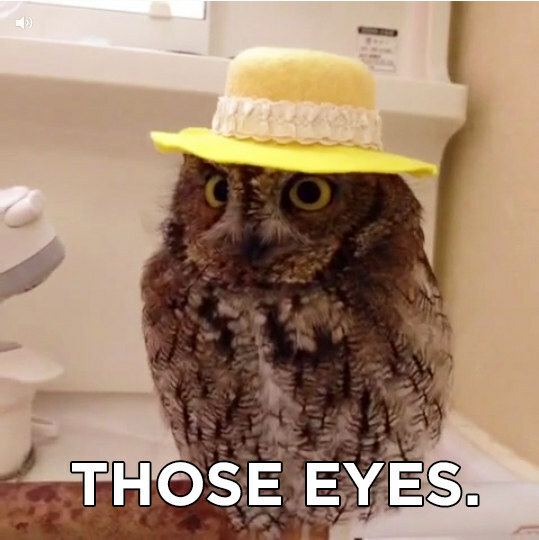 Not all of Oh Ya’s owl Vines are hat-related… but they are ALL ADORABLE. Go forth and watch owl Vines!